Kalam Kohistan is a dry, temperate hilly region in the Hindu Raj Series of the Greater Hindu Kush Mountains with diverse forests. 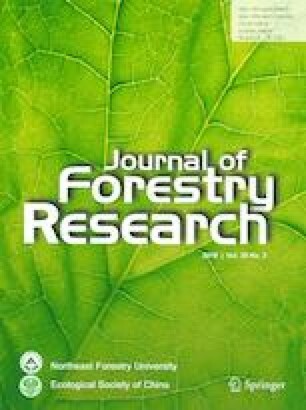 As plant distribution and composition is expression of a range of various environmental variables, ecological and floristic attributes of vegetation in the Laikot Forests were therefore evaluated via consecutive explorative trips. These forests have not been evaluated ecologically before due to harsh climatic conditions and issues of accessibility and the study in hand is one of the first in its nature. Quantitative ecological techniques were used to sample forest vegetation and identify species in quadrats of 2 m × 2 m for herbs, 5 m × 5 m for shrubs and 10 m × 10 m for trees. All the data of 195 plant species and environmental factors were analyzed via Two-way Cluster Analysis and Canonical Correspondence Analysis using PCORD and CANOCO software. Among 195 plant species from 63 families were 27 species of Asteraceae, the most-speciose family, followed by Poaceae (20 spp.). The dominant life form was therophyte (86 spp. ; 44% share), followed by phanerophyte (41 spp. ; 21% share). For the leaf size spectrum, most prevalent was nanophyll (73 spp. ; 44%) followed by microphyll (66 spp., 34%) and mesophyll (44 spp. ; 23%). Calcium carbonate, pH, potassium, sand, silt, organic matter, slope aspect and grazing significantly influenced species composition, distribution and habitat. The floristic variation in the region was diverse due to elevational and aspect gradients and thus devided into three zones. This vegetation zonation can be utilized for forest management, species and habitat conservation. Both in situ and ex situ conservation of threatened plant species may improve their conservation status in future if address properly. The online version of this article ( https://doi.org/10.1007/s11676-019-00919-8) contains supplementary material, which is available to authorized users.